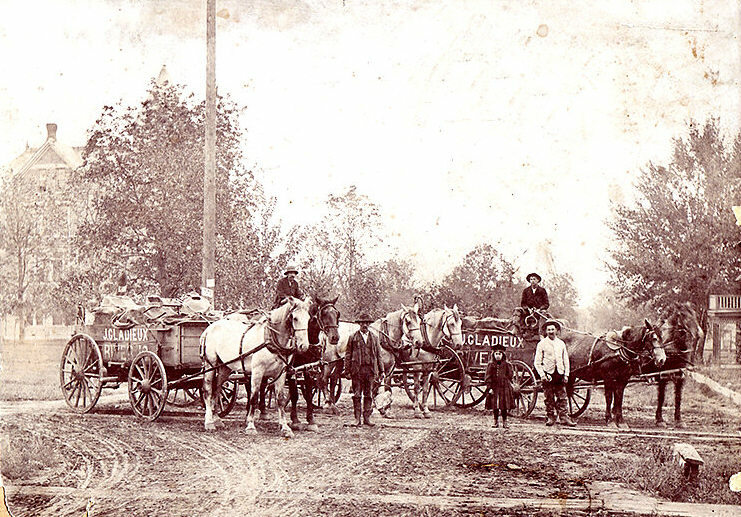 Joseph Gladieux (1855-1937) and sons harvested and sold ice in Chillicothe from 1883 to 1913. A favorite collection site was the mill pond at Graham's Mill on the east fork of Grand River. The work crew typically consisted of 50 to 55 men. If warm weather reduced the harvest, Gladieux had ice shipped in from northern states. In January 1891 he received 25 freight car loads of ice from Ottumwa, Iowa. After 1913 the family stopped selling river ice and purchased exclusively from a local refrigerated ice plant. This photo was taken about 1900. The girl in the photo is Clara Agnes Gladieux (1892 - 1970), daughter of Joseph Gladieux and wife Josephine Pierson. Her father is standing next to her. Joseph's parents were born in France. 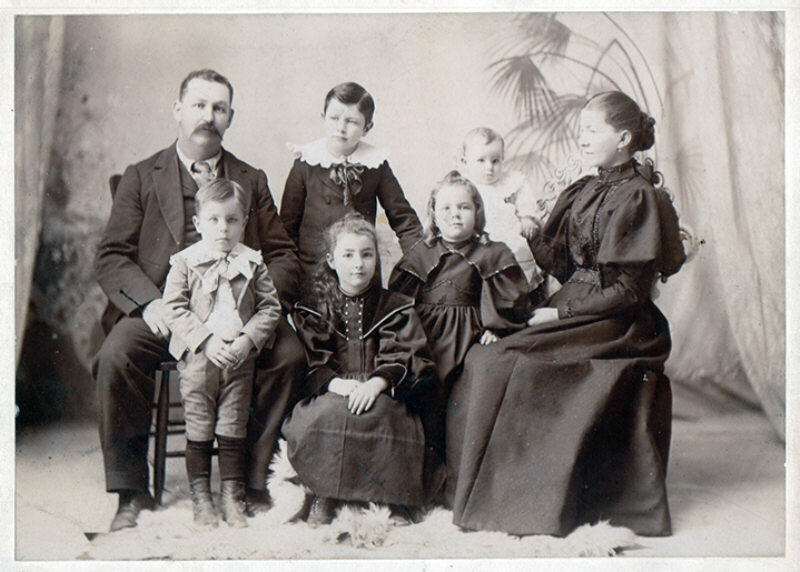 Back row, left to right: Joseph, Frank Joseph, Edward George (baby). Front row: Clarence Fideles, Irene Mary, Clara Agnes, Josephine. Clarence Fideles and Clara Agnes Gladieux are twins. This photo was taken about 1898.